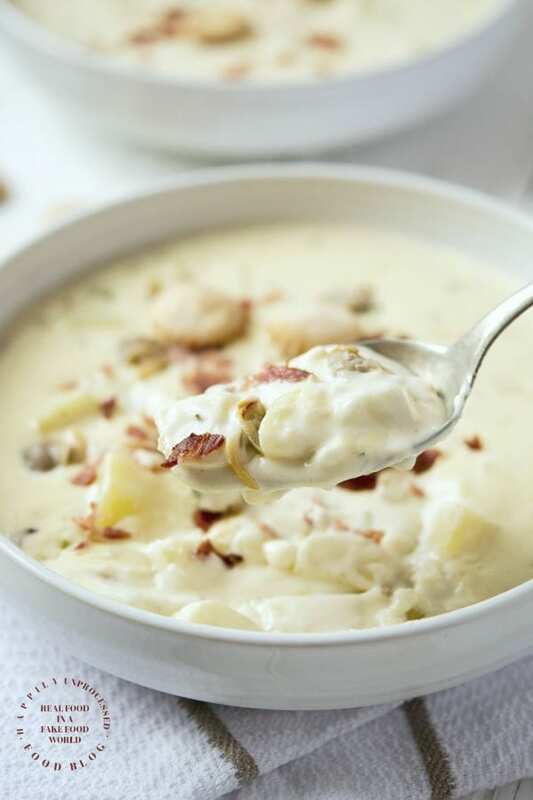 This not-too-thick, not-too-thin, creamy, New England Clam Chowder is full of chopped clams, potatoes, a hint of thyme, broth and cream … and will absolutely win you over. If you come from the east coast like I do then you know how critically important finding a stellar New England Clam Chowder can be. You can’t go to a seafood restaurant anywhere without it being a staple on the menu. And as many restaurants there are, there are the same amount of variations of this famous chowder. New England Clam Chowder is different than Manhattan Clam Chowder. New England is a thickened chowder made with clams, potatoes, onions and cream. Manhattan Chowder is made with crushed and diced tomatoes and is not thickened. The recipe often varies from state to state as well as the type of clams used. Finding a great bowl of chowder is almost as important as what pizza place you go to. 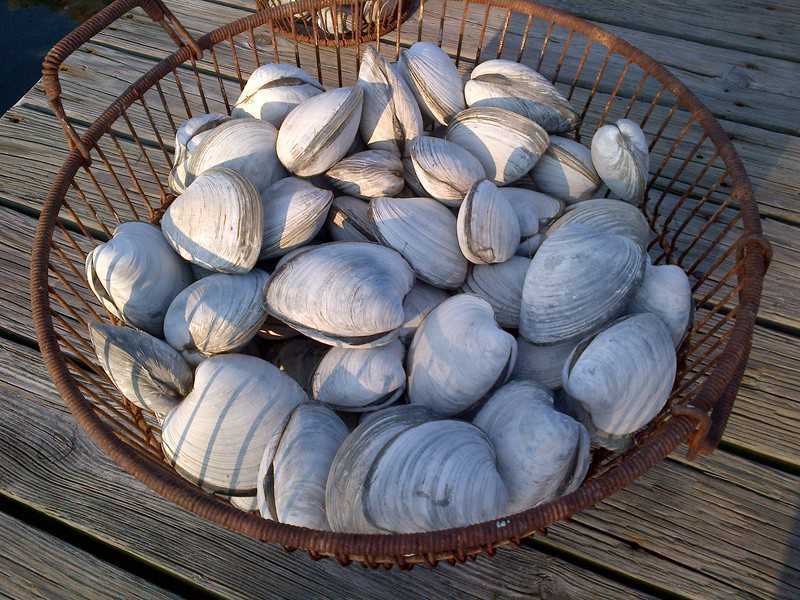 But most familiar to me from Long Island are the quintessential quahogs clams. They are graded by size with littlenecks being the smallest. I frequently see friends and family on social media catching clams by the bucket in the summer. 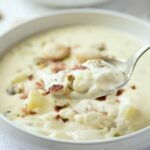 A great clam chowder is a very simple soup yet it still requires certain components to make it work. The potatoes should be cut very small (the size of the clams) and cooked until they still have some structure to them. If they are cooked too long they just fall apart. The same goes for the clams, in our case since we are using canned we are not ‘cooking’ them, just reheating. Still, it’s possible to overcook them and they become rubbery. Overcooked potatoes and overcooked clams will not make a good Clam Chowder. Everyone knows that the STAR of the recipe are the clams. I get it, not everyone is from the coast and doesn’t have access to fresh clams. I am now one of those people as I sit squarely in the Mid West. But don’t fret. Many great restaurants who are NOT on the coast use canned or frozen clams in their chowders, and we will too. 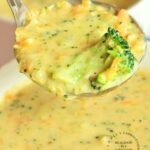 This recipe, along with my Incredible Crab Bisque are among my families favorites, both of which come from canned seafood. 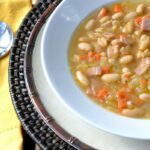 So don’t let a little something like geography get stand in the way of you making this five star soup! 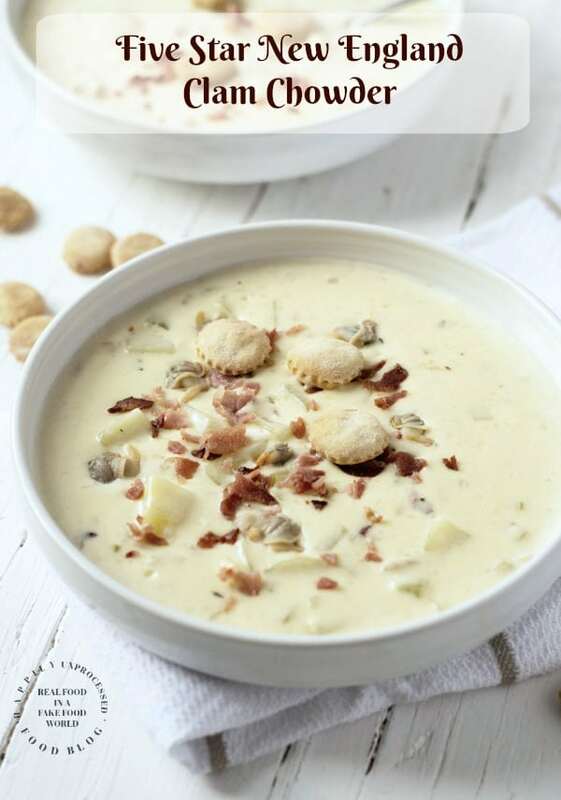 A true New England Clam Chowder recipe … not-too-thick, not-too-thin, creamy, and is full of chopped clams, potatoes, a hint of thyme, broth and cream! Cook the bacon in a large saucepan or stockpot until cooked. Remove the bacon, drain the grease but don’t wipe clean. Crumble the bacon and set aside. Add 2 Tablespoons of butter to the pan, then the onions and celery. Season with salt and pepper and cook approximately 4 minutes until translucent. Add the garlic and cook a minute more. Sprinkle the flour through out the pan and stir to combine. Slowly add the chicken broth, whisking to create a slurry at first. Continue adding the chicken stock, and clam juice (without the clams), Tabasco, white pepper, thyme and bay leaf. Give it a good stir and bring the soup to a boil. Once it is boiling, add the potatoes and reduce the heat to low and allow the potatoes to cook and the starch from the potatoes and flour to continue to thicken the soup, approx. 15-20 min. Be sure to check so the potatoes do not overcook. Add the clams to the soup as well as the crumbled bacon and cream. Heat through but DO NOT let it come to a boil. The soup should be nice and thick by now. 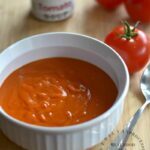 If it is too thick, just add more stock to your liking. You do NOT have to drain the bacon grease before adding the butter and onions. 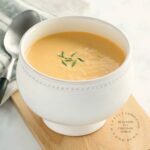 I have found that when I do not drain the grease it overpowers the soup giving it a muddled type of result.